If you’d like to be part of the extremely modest resurrection of UBS’ formerly left-for-dead American I-banking division, Andrea Orcel would love to see a résumé. And why not? There’s nowhere to go but up. Probably. Since the beginning of last year, UBS has boosted its ranks of senior investment bankers in the U.S. by about 25, or 20%, according to a spokeswoman...The recent acceleration in hiring shows UBS still has ambitions for the cyclical, yet at times highly profitable, investment-banking business—even if they are more measured than before...UBS is expanding from a dramatically reduced employee base following successive waves of banker departures in the wake of the giant credit losses and other missteps. 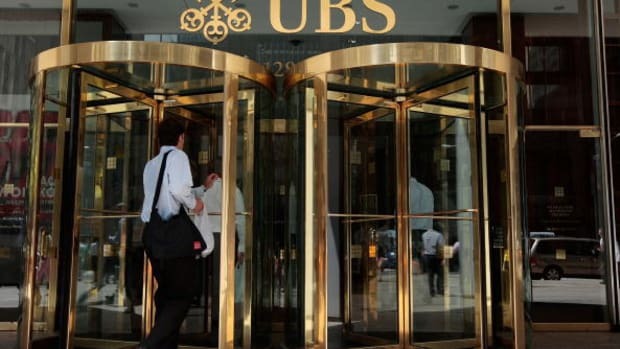 In its securities-and-investment-banking division, UBS had 11,794 employees as of last year, down from 23,739 on the eve of the financial crisis in 2007. This year, UBS will take the guess work out of knowing your worth.